While children in México’s Northern states received their presents on Christmas day, those living in Central México and the Southern states are still waiting for January 6th. Why? Because it is the day when the 3 wise men from the Orient will arrive and bring their presents to baby Jesus, or at least that’s how the story goes. That day they will also celebrate eating the popular “Three Kings Bread” called Rosca de Reyes in México, and Mexican hot chocolate. People do not usually bake their Rosca bread. This is a busy time for the Mexican bakeries that will be selling these delicious Roscas not just to eat at home, but also in the office or school. Inside the bread, or Rosca is a plastic little doll (about one inch long) representing baby Jesus. Whoever gets the doll in their slice has to cook tamales on February 2nd. Also called Candelaria Day. Two years ago in 2014, I sold several of these pieces of bread boxed and added a homemade sticker, my husband bought the boxes at the local supermarket. This is another food that I started making at home some years ago because I couldn’t find it here. Nowadays there is a bakery that sells it but the flavors and aromas you get by baking it at home cannot be compared. If you haven’t baked with yeast before do not be intimidated, give it a try you won’t be disappointed you did. Make sure you have all the cooking utensils needed. Ingredients most be lukewarm as indicated on the list. Make sure your oven is preheated 20 minutes before baking to help the dough rise. Insert plastic doll from the bottom before baking. I personally do it after baking. If you don’t find the traditional decorations, use prunes, pecans, walnuts, or fruit cake mix. Please do read all the recipe instructions and notes before you start baking. Pour lukewarm water into a bowl, and sprinkle with yeast. Stir with a fork until yeast has dissolved, then let stand until foamy, 5 to 10 minutes. Stir in 1/2 cup of the flour, and cover the bowl with plastic wrap. Let stand in a warm place until doubled in bulk, about 25 minutes. In the meantime, mix flour, eggs, egg yolks, sugar, orange extract, orange zest, salt and butter in a large bowl. Mix until crumbly. Even though I have a Stand mixer this time I kneaded the dough by hand since not everyone has a large mixer but you can do these steps with your Kitchen Aid. Add yeast mixture to the bowl and mix. It will be very sticky but manageable, add flour if needed. Place on a lightly floured surface and start kneading until you have a smooth dough. It will take about 15-20 minutes to get this results. 7 minutes in your Kitchen Aid. DO NOT add too much flour to your working area, the texture should be very soft, sort of wet but manageable. If you add more flour than needed your bread will be dry. Once your dough is smooth and soft, place in a buttered bowl, and cover with buttered plastic wrap. The pictures don’t show the texture and feel of the dough, but it must be wet and elastic. Let dough stand in a warm place until doubled in volume, about 1 and 1/2 hours. Make sure your kitchen is warm to help your dough to rise. If the dough doesn’t double in volume after this time let it rest longer. The fermentation process develops flavor, so slower and longer is always best. While the dough is resting, mix the following ingredients for the decoration: margarine with the confectioner sugar until it creamy. Then add the flour and egg yolk. Until you have a smooth paste. After the first resting period. Turn dough out onto a lightly floured surface, and knead a few times, then shape into a round cushion and making a hole in the middle shape into a large ring. Transfer to a greased rimmed baking sheet, and loosely cover with buttered plastic wrap. Let rise in a warm place for 45 minutes or more until almost double in volume. Gather all your decorations and the egg wash. For the egg wash whisk remaining egg with milk or water. Preheat oven at least 20 minutes before baking at 375 degrees, with rack in lower third. Transfer the bread to a wire rack to cool. After the bread has cooled insert the plastic baby dolls from the bottom of the bread. Do not forget to let your guests know that there is a baby toy inside the bread. Rosca de Reyes can be stored in an airtight container for up to 3 days. Rosca de Reyes Recipe, This is another food that I started making at home some years ago because I couldn’t find it here. Nowadays there is a bakery that sells it but the flavors and aromas you get by baking it at home cannot be compared. 3/4 cup of sugar 150 grams, if you want sweeter add 1/4 cup extra. 1 1/2 stick unsalted butter softened (169 grams, or 3/4 cup) Plus more for the mixing bowl and plastic wrap. 6 tablespoons margarine or shortening. Pour lukewarm water into a bowl, and sprinkle with yeast. Stir with a fork until yeast has dissolved, then let stand until foamy, 5 to 10 minutes. Stir in 1/2 cup of the flour, and cover bowl with plastic wrap. Let stand in a warm place until doubled in bulk, about 25 minutes. In the meantime, mix flour, eggs, egg yolks, sugar, orange extract, orange zest, salt and butter in a large bowl. Mix until crumbly. Even though I have a Stand mixer this time I kneaded the dough by hand since not everyone has a large mixer but you can do these steps in your Kitchen Aid. While the dough is resting, mix the following ingredients for the decoration: margarine with the confectioner sugar until it creamy. Then add in the flour and egg yolk. Until you have a smooth paste. • Make sure you have all the cooking utensils needed. • Ingredients most be lukewarm as indicated in the list. • Make sure your oven is preheated 20 minutes before baking to help the dough rise. • Insert plastic doll from the bottom before baking. I personally do it after baking. • If you don’t find the traditional decorations, use prunes, pecans, walnuts, or fruit cake mix. ¡Buen provecho y Feliz Día de Reyes a todos mis paisanos! Leave a comment, send me your pictures, and share your experience with the recipe. Que gusto que les gusto! Le tomaste foto? Muchas gracias por la receta! Estoy en Washington y no he encontrado donde vendan por aqui asi que esta receta vino caida de cielo :D. Lo unico es que no conseguia la consistencia adecuada (no se si tenga que ver la altitud o algo) pero tuve que agregar otra taza de harina para hacer manejable la masa, y poderla reposar. Tuve problemas para encontrar la fruta confitada pero este año solo la hice con el dulce, ya el siguiente intentare con la fruta :D. Gracias por postear la receta! Tengo 1 año aca en USA y esto hace que me sienta un poco mas en casa. Que bueno que pudiste ajustar la masa de acuerdo a la humedad de Washington. 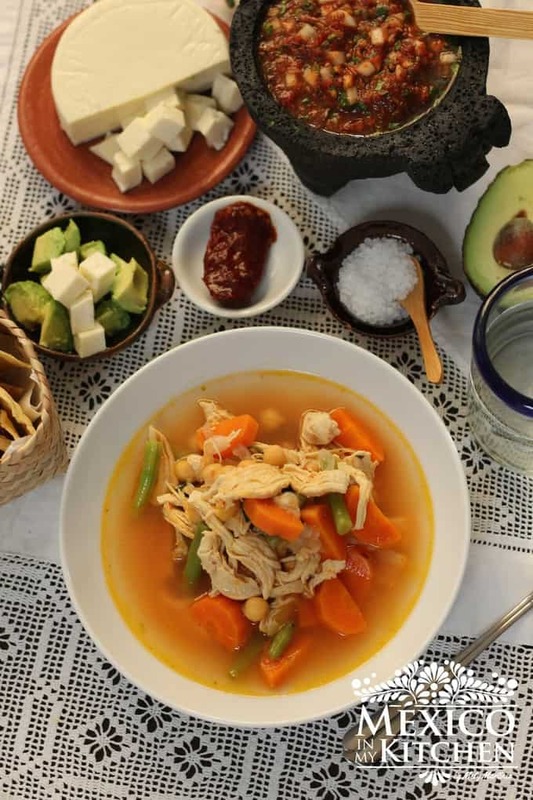 Saludos y gracias a ti por probar la receta. This is the second year in a row that I've made a rosca using your recipe. My family loved it so much that they all agreed next year they won't have any store bought rosca and I'll have to bake two to accommodate our large family. Also, I couldn't find any candied cherries so I bought a jar of maraschino cherries and dehydrated some in the oven while I was baking some cookies. Worked like a charm. Thank you for being a long time reader of Mexico in my kitchen. Thank you for the great tip about the cherries. I had updated the post with links to places where you can buy all the decorations online and have them ready in advance. Happy baking! Thank you for trying the recipe, so glad to know you like it. Happy cooking and come back soon to try other recipes. Hello!! Could you tell me if I can replace water with milk? Thank you! Hi Li, Yes, you can use water. It’s been a tradition every year to have a Rosca de Reyes. First with our son and daughter, later with our grandchildren. We moved from California to Nevada. We live in Mesquite, Nevada. There’s a Mexican store here, so I called to see if their bakery prepared Roscas for Christmas and was told they didn’t. (Some Mexican store & bakery lol ). Well I went and asked goggle and several sites came up, but I chose yours because I read that you were from Mexico. Thought “esta senora deber saber como hacer roscas. Got your recipe and tried it. OMG – what an awesome recipe. I followed step by step and it turned out soooo much better than any we had ever bought. Thank you so very much! It’s absolutely delicious. I shared ours with some friends and neighbors and they absolutely loved it.. Now they want me to make some for them for Christmas in a smaller version, so I’m going to split the dough in 2 pieces. Most definitely, your recipe will be cherished and used every Christmas. Se puede hacer la masa con una maquina para hacer pan? (Bread machine). Se ve deliciosa y muy bonita, como las de la panaderia en Mexico! Hola, si la puedes mezclar/amasar en la maquina de hacer pan. Saludos! Muchas gracias por la receta, quedó deliciosa! Como siempre todas tus recetas son un éxito. Thank you, it was the most moist and delicious rosca we have ever had, both here in the States and Mexico. The panederia and store roscas are so dry, I never really like them but simply buy them because it’s tradition. I have tried baking once before with another recipe before but it was only a slight improvement over the store bought ones. With this recipe, as soon as my kids took one bite they had nothing but compliments. It was a little too wet and sticky for me to knead so I did use extra flour otherwise, it was not shaping but other than that it’s fantastic. Gracias! Excellent rosca! As many others have commented, this tastes SO much better than store bought rosca. It is so fresh, light, and flavorful. We celebrated with rosca 2 times….once with another family from Mexico and then later with Spanish-speaking friends for many different countries, and a Syrian refugee family. Our GIGANTIC get together made the Syrian family feel right at home. Our cultures are not so different. The got a huge kick out of finding the baby, so much so that they were teaching our South American friends that don´t celebrate with rosca the tradition! I was nervous about making the rosca. I am new to using yeast. The instructions were perfect. I did not take into account the rosca rising when it was baked, so my first one looked more like a bagel than a rosca. My second try looked more like a rosca. I found little babies in the party supply section of Walmart. Everyone said they liked the plump little babies better than the white ones. Thank you again for the great receipe! 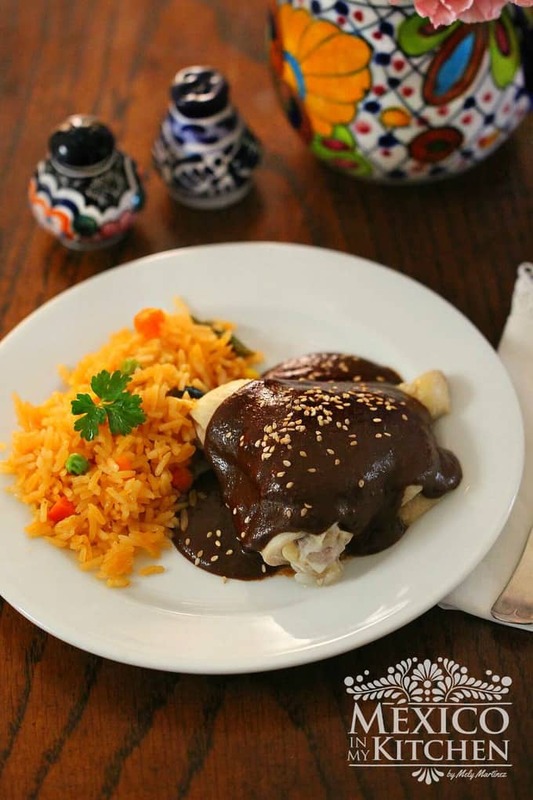 Thank you for trying the recipe, also for taking the time to come back and write about your nice experience with other families sharing this Mexican Tradition. I’m so thankful for your website and have successfully tried many of your great recipes to prepare traditional foods, desserts, salsas and drinks for my husband and our family. I look forward to trying more. He is a native of Puebla and I of New Jersey, where we currently reside with our children. Most dishes I have never had before and am grateful I can feed his soul with flavors of his childhood as well as experience them myself and with our family. I have pictures of Rosca’s I’d like to share with you as well. Blessings and Thanks to you Mely. Please send me your picture to my email. You can find the email address on my contact page. Could I use butter for the topping instead? You can but the topping will be a little yellow and with a hard texture. You can use margarine or shortening. Thank you for the recipe, I love to use butter in my recipes. Any recommendations and how to aubstitmargerune for butter and still get a delicious result? You can use half butter, half shortening. If you only add butter the bread texture could come out a little chewy. My daughter sent me the recipe for a class project, I love baking and this turned out wonderful for my first try. Smelled up the whole house, had the window open and neighbor asked what we were making. Thank you!! I’m so happy to know you liked the recipe for the Rosca de Reyes. Did you share a little piece with your neighbor?